Mumbai November 2018: CILECT (Centre International de Liaison des Ecoles de Cinéma et de Télévision) World Congress 2018 kick-started with insightful discussions, highlighting innovations and best practices for the future of education in cinema, came to a successful end and was a roaring success. The vast gamut of information presented by veterans through presentations, discussions, and insights paved the way to develop, enrich and empower the next-generation of creative professionals. 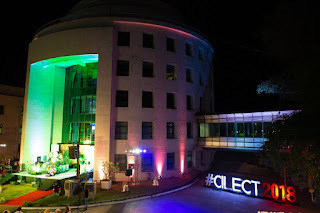 CILECT World Congress 2018 began with a warm welcome with guests such as veteran actor Shabana Azmi, keynote speakers, Academy award-winning producer Lord David Puttnam, and Ravindra Velhal, Global Content Technology Strategist, Intel Corporation, sharing their experiences and learning and culminated in a lively performance by famous Indian percussionist, Sivamani. WWI in collaboration with CILECT is taking the lead in adopting and adapting new-age technology in filmmaking, finding the best possible tools with which students can be trained. The congress brought to light the necessity of having well-prepared students who were, as Subhash Ghai, so eloquently put it, are explorers and not just believers. Day Two commenced on a very positive note with keynote speaker Nosipho Dumisa - an award-winning director/producer/writer from South Africa. She spoke enthusiastically about the importance of mentorship, equal opportunity, and positive reinforcement and how vital their roles are for the next generation of filmmakers, especially women. While speaking about the shift from analog to digital, award-winning producer, Kalle Boman, the second keynote speaker for the day, discussed how the latter created a revolution in filmmaking offering a plethora of potential for the next generation of artists. The highlight of the day was the election of CILECT’s newest president, Bruce Sheridan, who will take over the reins from Prof. Dr. Maria Dora Mourão. In addition, the election of Rahul Puri, Whistling Woods International’s Head of Academics to the Council Member of CAPA (CILECT Asia-Pacific Association) added a new feather in WWI’s cap. 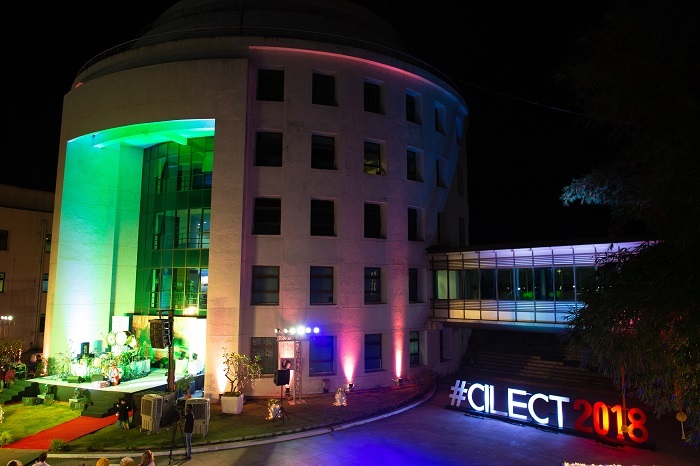 “It’s an honor and a privilege to be elected as a member on the Asia Pacific Council of CILECT. Being on the committees like CAPA enables us to associate and collaborate with schools around the world, offering international exposure to our students”, said Rahul Puri on being elected as the Council Member of CAPA. 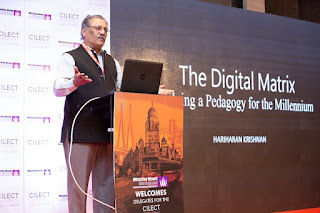 "The CILECT conference this year in Mumbai has been a wonderful one as we managed to show India on the world map in terms of academics and film education. I am personally very proud of the entire team of WWI to put it together because it showcases India can put up world-class conferences and I am happy that WWI is been on the forefront”, he further added. 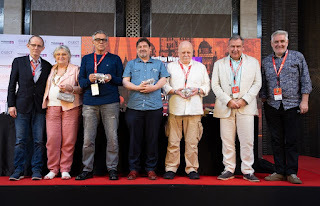 With keynote speakers like Anjum Rajabali, HOD – Screenwriting, WWI and Hariharan Krishnan discussing Indian Mythology as part of modern-day storytelling and narratology for today’s digital cinema (respectively), Day Four began with an earnest group eager to take in new perspectives and ideologies. Apt examples like those of the Ramayana and Mahabharata helped Rajabali drive home the very essence of how Indian myths, while seemingly simplistic with basic notions of good vs evil, explore much deeper meanings of the human psyche. This also proved as a base for his explanation of how modern Indian cinema derives themes from these age-old stories. Krishnan, on the other hand, had the audience in a lively mood as he contextually explained how important the power of the narrative was in modern filmmaking. With interactive video, Augmented and Virtual Reality becoming more feasible and accessible to contemporary filmmakers, modern audiences are craving the formats. Group discussions and school presentations ensued with plenty of camaraderie that was masterfully moderated by the likes of Bruce Sheridan, Chair of CNA (CILECT North American); Bert Beyens, Chair of GEECT (The European Regional Association of CILECT); Garth Holmes, Chair of CARA (CILECT African Regional Association) and Silvio Fischbein, Chair of CIBA (CILECT Ibero America Association). The closing plenary discussion had CILECT Executive Director, Stanislav Semerdjiev and the newly elected CILECT President, Bruce Sheridan summarising the events’ high points over the last four days. 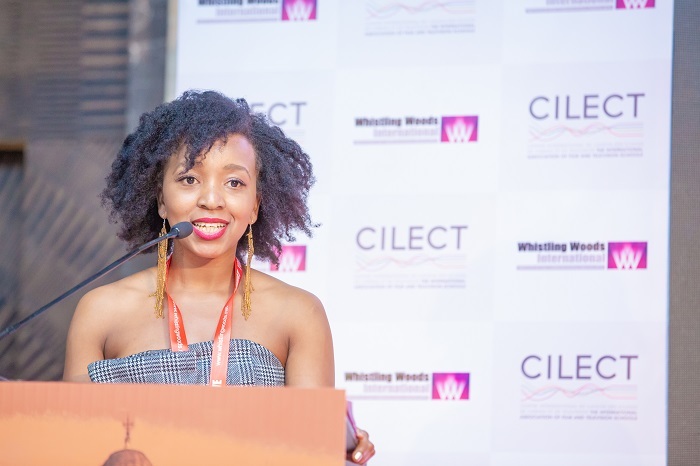 Semerdjiev and Sheridan thanked the various speakers, school representatives, committee members and their gracious hosts, Whistling Woods International, and its staff, for helping to organize an extremely successful CILECT Congress event. Sheridan also thanks Semerdjiev for his contributions throughout the Congress. The vote of thanks was met with a well-deserved, resounding standing ovation from the audience as CILECT Congress 2018 came to a close on a high note.